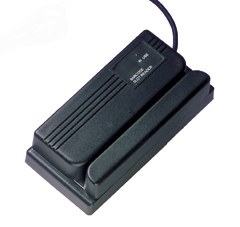 The MS146 is a rugged, flexible barcode slot reader with a resolution of up to 0.15mm. Available with either visible or infrared optics, the MS146 slot readers ensure accurate reading in any environment. An optional mounting bracket is also available to secure the unit for use at any angle. Coupled with the MS146's IP54 rating, badges can be read in harsh and industrial environments without affecting the performance of the unit.